The first batch of Rohingya repatriation from Bangladesh will contain about a lakh of Rohingya refugees. Bangladesh wants to send up to 100,000 Rohingya back to Myanmar in the first batch of repatriations of Muslim refugees who fled ethnic violence this year, officials said Friday, Mizzima News reports quoting AFP. Senior minister of Bangladesh Obaidul Quader said a list of 100,000 names was to be sent to Myanmar authorities on Friday so repatriations could start in late January under an accord between the two governments. More than 655,000 Rohingya from Myanmar’s Rakhine state have sought refuge in Bangladesh since a military crackdown in late August, fleeing what the US and United Nations have described as ethnic cleansing. That added to more than 300,000 in camps in Bangladesh after fleeing earlier violence in the Buddhist majority state. The two governments signed an agreement in November allowing for repatriations from January 23. Many aid groups and diplomats doubt that fearful Rohingya will agree to return. The Rohingyas have been the target of past pogroms in Buddhist-majority Myanmar, which does not recognise the group as a genuine ethnicity and has stripped them of citizenship. Quader said repatriations would start as soon as a working group of officials from the two countries finalise a list of names. “Based on the decision of the joint working group, a first list of 100,000 Rohingya will be sent to the Myanmar government today for their safe and honourable return,” Quader, road transport minister and deputy leader of the ruling Awami League, told reporters during a visit to Cox’s Bazar where the refugee camps are. “The next meeting of the working group, which will be held in Myanmar, will decide how the repatriation process begins,” Quader added. 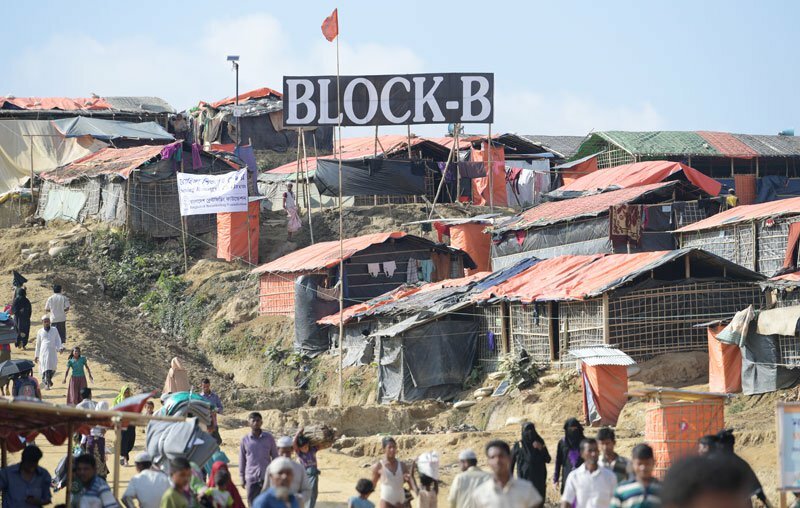 Abul Kalam Azad, the government relief commissioner for Rohingya refugees, said a decision was made Thursday by Bangladeshi members of the repatriation working group to send a list of 100,000 refugees to Myanmar. He said repatriations would begin after Myanmar verifies the list and the authorities in Bangladesh get consent from willing refugees. According to Mizzima News most Rohingya refugees approached by AFP in the camps insist they do not want to return, saying Rakhine is not safe enough. Diplomats have expressed doubt about whether Myanmar will allow substantial numbers to return. According to Azad, nearly one million Rohingya live in Bangladesh, many of whom have been there for decades. Myanmar has agreed to take back those refugees who arrived since October 2016, believed to number about 700,000.